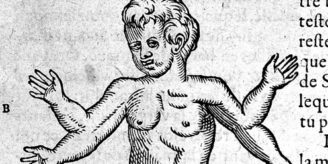 The next seminar in the 2016–17 History of Pre-Modern Medicine seminar series takes place on Tuesday 28 February. Anatomical fugitive sheet ([Wittenberg]: [publisher not identified], ). Wellcome Images L0029977. From its very beginnings, Andreas Vesalius’ ‘De humani corporis fabrica’ of 1543, this most fabulous of anatomy atlases, has served as an instrument of power. 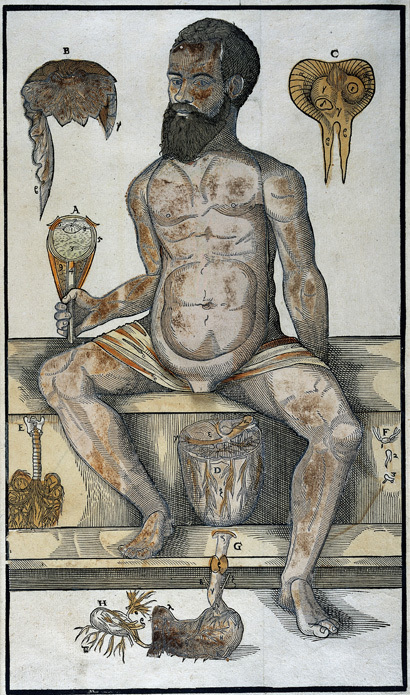 Vesalius dedicated the book to Emperor Charles V, and personally brought him a hand-coloured copy in order to secure himself the coveted position of royal physician. Because it was an expensive book, most of the other copies of the ‘Fabrica’ also ended up in the hands of wealthy and powerful owners: sovereigns, aristocrats, rich physicians, and religious institutions such as the Jesuit order. The pattern holds true for later periods, as well. Current locations of early copies of the work match remarkably well the map of Western power structures. Curiously, the powerful owners of the ‘Fabrica’ read the book attentively, but selectively. 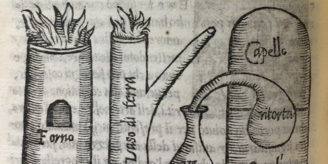 A study of the annotations in all the surviving copies of the 1543 and 1555 editions reveals an inordinate amount of interest in the chapters concerning the genitalia and sexual reproduction. The sections on generation are much more heavily underlined and annotated than any other part of the atlas. Following in the footsteps of Katharine Park’s earlier work, this paper reveals the intricate connections between power structures and sexual reproduction by discussing why the ‘Fabrica’ became and remained a favourite of the wealthy, and what fascinated these owners about the mysteries of generation. This paper draws on the collaborative research done with Mark Somos and Stephen Joffe for the Vesalius Census.